When driving along the west coast of Tuscany just north of Pisa, you will see jagged alps rising steeply from the narrow strip of land, glistening majestically. These are the Alpi Apuane, or Apuan Alps, mountains that gleam as though cloaked with snow all year round. But the pristine white is not snow, it is the marble of the bare quarried faces of the mountains – the snow the gods made eternal. The effect is so surreal it would not be out of place in a mural in an Indian restaurant, but this breathtaking view belies a multi-million euro a year industry and the source of some of the most famous sculptures in the world – including Michelangelo’s Pietà and David. 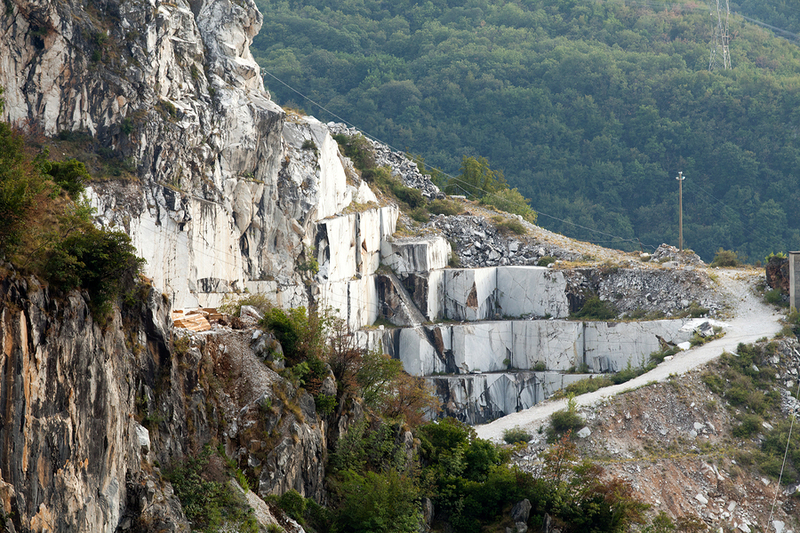 The marble quarries of Carrara are situated in the valleys of Torano, Miseglia, Bedisano and Colonnata, where both white and coloured marbles are found: the amount of marble is staggering. 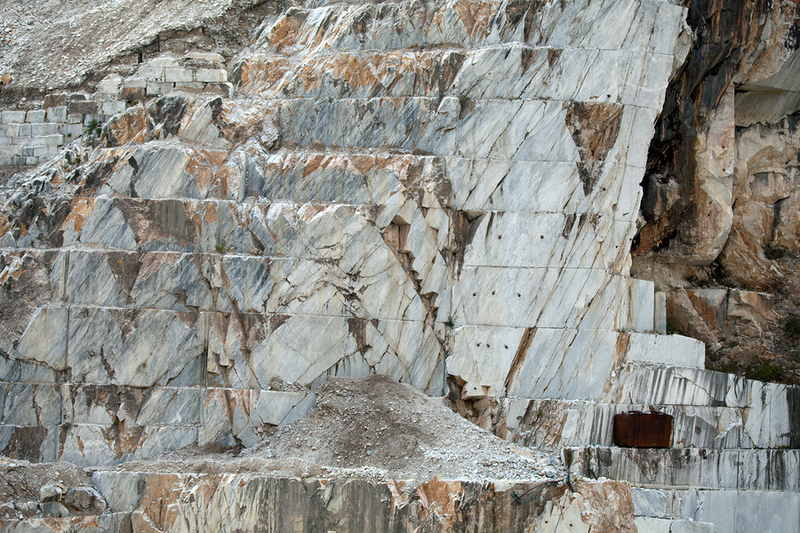 From raw cut blocks waiting for export, rows of flawless reproductions of Michelangelo’s David, to the marble-clad centre of Carrara, it is clear that marble is the main protagonist of this area. 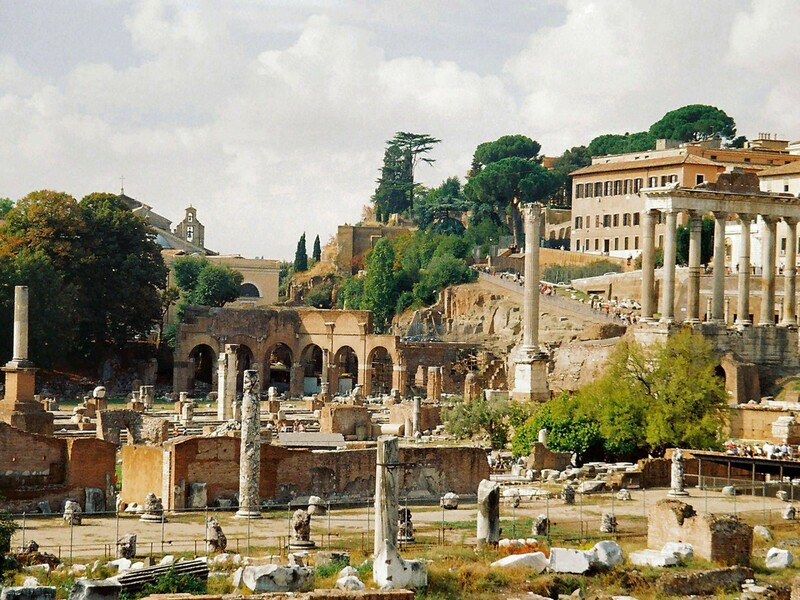 Driving further up into the mountains around hairpin turns through the lush green forest does nothing to prepare you for the number and scale of the marble quarries that were first opened up by the Romans more than 2000 years ago. Today massive bulldozers and high-speed, diamond-edged cutting equipment mean greater efficiency of quarrying and better working conditions, but the effects on the landscape are notable. The quarries look like half finished ziggurats, with Escher–like inverted ledges, sheer drops and chambers. There are entire peaks that have been cut in half. Mario owns a small restaurant-café in Colonnata and in his spare time organises guided trekking trips on the mountains and visits to marble quarries. ‘I was born here and I worked in these quarries for more than four years. Then I stopped. It was too hard. But I love to take tourists around the abandoned quarries and explain what the job is about. I love to see the amazement in their faces when I say that the marble is cut with metal cables of tiny diamonds,’ he adds. 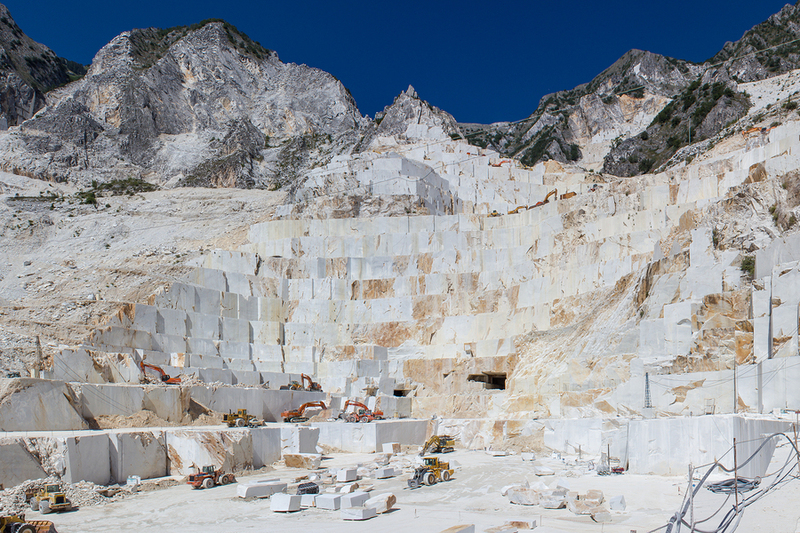 A question does enter your mind as you take in the devastating effects of 2000 years of mining: Just how long can the marble of Carrara last? But marble is not the only precious product of the area. A curious spin-off the marble industry is the delicacy Lardo di Colonnata. Lardo was the traditional high-energy food of the workers in the quarries. 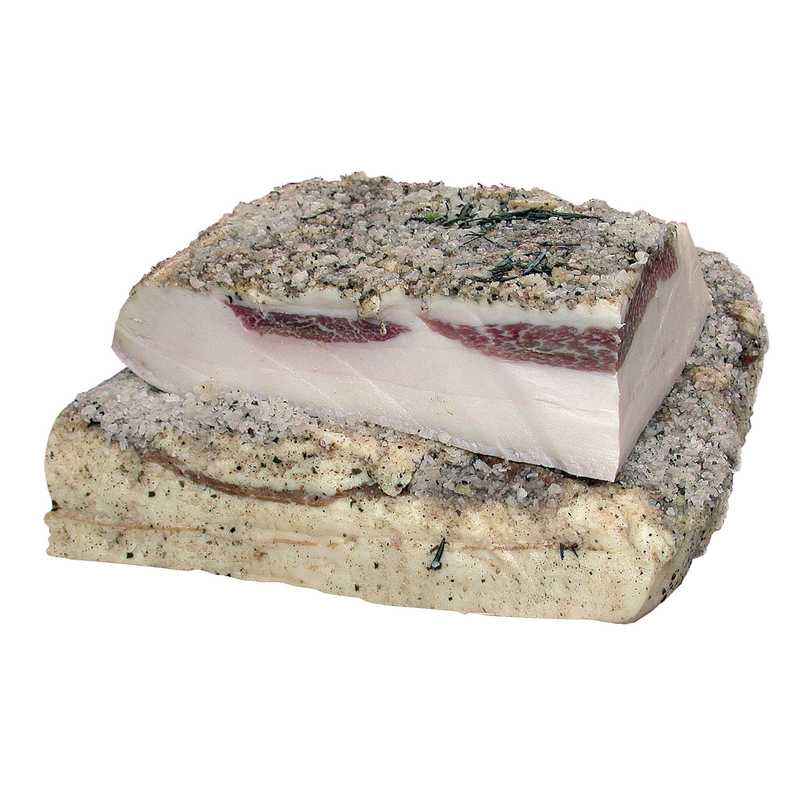 There are many similarities between marble and lardo: lardo has the pearly white appearance of marble, it is quite expensive and, in Italy, quite sought after. As you might imagine from the name, lardo is pure pork fat. But it’s not just any old bacon – it is pork back-fat, cut into strips and laid into chests of marble called conche with sea salt, garlic, black pepper, and a mix of other spices, including sage, rosemary, cinnamon, cloves and coriander. The combination of spices varies between the producers, or larderie, who guard their recipes jealously. The lard is then aged in the conche for six to ten months. I was lucky enough to happen on the annual Sagra del Lardo di Colonnata, held each year in the charming tiny mountain village that is home to only 300 inhabitants. Seated in a tiny square next to an exquisite marble doorway that had ‘1790’ inscribed above it, I ordered the Menu degli Scavatori (Miners’ Menu), to the strains of opera wafting from a neighbour’s window. The menu was, as promised, simple: raw tomatoes, a basket of very slightly toasted bread, and a platter of transparent, thinner-than-wafer-thin (we are talking microns here) slices of Lardo di Colonnata. I asked the very healthy-looking, slim waitress if she ate the lardo often. She assured me that she did. On closer enquiry, she revealed that because the lardo is aged in marble containers, the calcium carbonate drew out some of the saturated fats. This was repeated to me by a number of people in Colonnata, but I’m not sure I believe it. The lardo, however, was absolutely melt-in-your-mouth delicious - salty with just discernable traces of cinnamon. At the end of my ‘menu degli scavatori’ I did feel as though a day in the quarries chipping at that eternal snow just might do me some good. Information: Sagra del Lardo di Colonnata - Colonnata, Massa Carrara, Tuscany: last weekend of August every year.